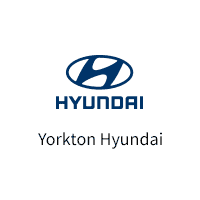 Based in Yorkton, Yorkton Hyundai has continued to expand as it now serves all of the greater East Central area with new and certified pre-owned Hyundai vehicles along with an extensive selection of all other makes and models including trucks. Over the years, Yorkton Hyundai has grown in its current location, as we now offer a state-of-the-art showroom, Parts & Service Centres and a Finance Department. Whether you are in need of a new vehicle or parts / service for your current vehicle, Yorkton Hyundai is here to assist you with any of your automotive needs! At Yorkton Hyundai, we look forward to serving you, our valued customer, for years to come. Please stop by our dealership, located at 115 Palliser Way, Yorkton, SK and speak with one of our representatives today!